It really can be an endless summer — if you’re immortal. Though a vampire would be ill-advised to take a cruise to Bermuda, the possibilities for getting away from it all — and maybe snacking on some unsuspecting tourist — are many…. Sookie Stackhouse and her vampire friend Pam take a weekend getaway to Mississippi in number-one New York Times best-selling author Charlaine Harris’s “Two Blondes”. And when they end up in a shady gentleman’s club, to escape in one piece they need to do something that wasn’t on their itinerary — something involving a stage, a pole, and very little clothing. New York Times best-selling author Katie MacAlister’s “The Perils of Effrijim” follows a demon whose vacation in Paris is disrupted when he’s banished to another plane, thus kicking off a crazy dimension-hopping road trip across Europe. 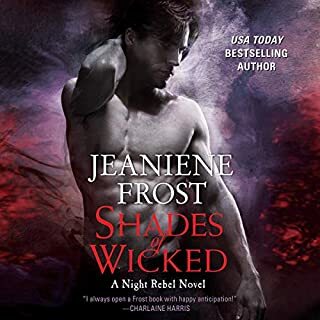 Protecting an heiress from supernatural hit men isn’t Cat and Bones’s idea of a relaxing vacation in New York Times best-selling author Jeaniene Frost’s “One for the Money”, but it could get worse. And it does — when Cat’s mother shows up. Editors Harris and Kelner bring together a stellar collection of tour guides who offer vacations frightening, funny, and touching — for the fanged, the furry, the demonic, and the grotesque. ©2010 Charlaine Harris and Toni L. P. Kelner (P)2010 Brilliance Audio, Inc. I have long been a fan of Charlaine Harris. She is probably tied with Jim Butcher as my favorite author ever. And the fact that she is a native Mississippian (like me) has NOTHING to do with it. But she has an absolute talent for developing characters, and none so much as Sookie Stackhouse. This book opens with a Sookie short story, and believe it or not, that's just the beginning of the ride. 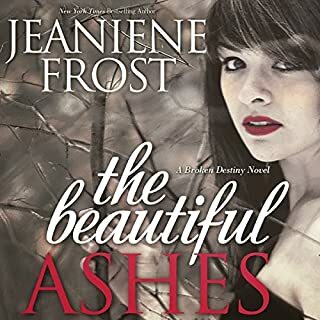 I got drawn into reading anthology short stories because of Harry Dresden (Jim Butcher's "The Dresden Files" novels) and Sookie and all their "out of novel adventures" and this one rates among my top anthology favorites. Plus, I love the fact that when Ms. Harris and Ms. Kelner do an anthology, it is usually themed around some holiday or situation we mere "mortals" would normally think mundane. Like Summer Vacation. 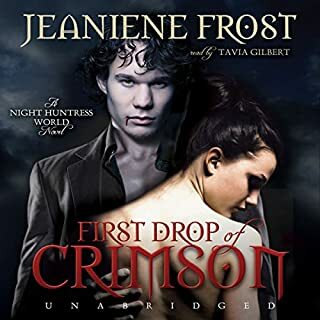 So before you hit the beach for a weekend getaway, or take a full blown two weeks off in some vast foreign land, be sure to grab this audiobook first. After all, it's not just the vacation that's important - it's the getting there and then getting back again that counts more. If you read the description of the book you will know what you are getting. I liked a lot of the stories and it introduced me to some new authors I haven't heard of. I wasn't sure what to expect other than I really like 3 of the authors and have read/listened to their series with much enjoyment. I read the reviews and description and I agreed with one of the other reviews that this would be a way to introduce myself to some new author's. For the most part I did not find this to be a "Fun Romp with Supes" or a "Really Fun" read as other reviews thought. Some of the stories were indeed fun, a couple mean spirited and several were just down right heavy and depressing. The narration leaves much to be desired. If you are going to include stories from much loved series is it too much to ask to have the usual narrators read them? 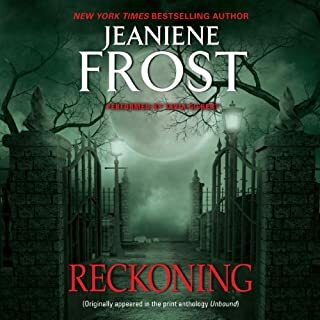 Sookie's story was fine, since Cat and Bone's sounded like themselves which was a treat to listen, but the narration for Katie MacAllister's story Effrijim was abominable. First the voice Mr. Lane gave Jim created a totally different personality for the doggie demon and was just annoying. Most importantly he mispronounced so many words and even the series main character (and Effrijim's demon lord) Ashling's name. I must say this was probably my husband's favorite story because he got a kick out of me correcting the narrator constantly. Also, Mr. Lane has a definite voice style which carried over to every story he read and got tiresome. Don't get me wrong I admire Mr. Lane's skill and certainly couldn't have to a better job myself but then again I am not a professional voice over artist. I bought this mainly to hear the Jeaniene Frost Story. I am SO glad that this was not my introduction to her writing because I doubt I would have explored her work any further. It wasn't the story, but the AWFUL narration. Bones is one of my favorite fictional characters, but this narrator made him boring and forgetable. 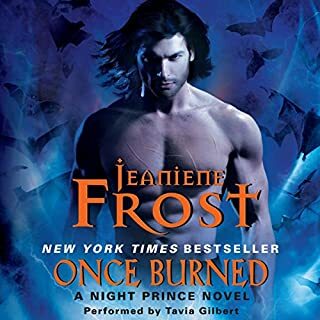 Tavia Gilbert is such an outstanding narrator so why didn't they get her for this one? If she wasn't available, a narrator who could at least attempt Bone's Cockeny accent would have been nice. Cat's voice sounded like her mother's usually does, and her mother sounded like a sickly-sweet nurturing mommy, not the fun bitchie shrew she usually is. The Charlene Harris story was good, my first time reading her work although I am an avid "True Blood" fan. When the HBO series is over I will definitely read the Snookie Stackhouse books. The other stories were ok but the narration was substandard. Bottom line, get this anthology in print and save you Audible credit for something else. Excellent Introduction to new Authors. If you READ the discription this is a collection of supurb short stories. Of course Sookie is getting top billing dumbies. I love being introduced to new series this way. I plan on sampling more of all these authors AND the other anthologies. If you could sum up Death's Excellent Vacation in three words, what would they be? 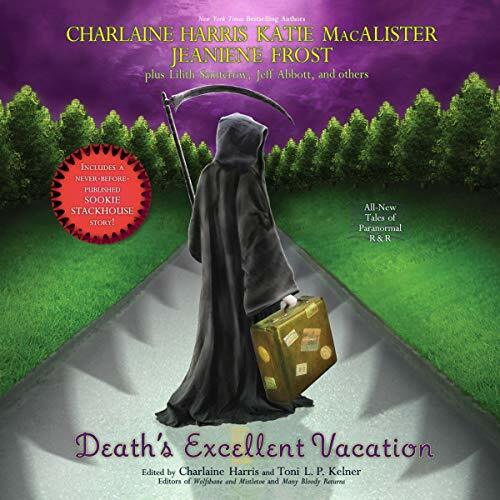 What other book might you compare Death's Excellent Vacation to and why? Any Paranormal, cause the stories all revolve around paranormal creatures. This man is Oscar Worthy! What a performer! He made the stories leap to life and get up and dance. Wow. Great book of eclectic short stories. Vampires, Ghouls, Gargoyles, Succubus, and all things paranormal go on vacation. The story about the demon who liked to be a dog because his 'package' was bigger than when he was in man form made me howl with laughter. There are many stories here I think the longest is 1 1/2 hour. there are a few really great ones, most are good, and if there is one or two that are not really great by comparison, at least it's not more than an hour. I felt this to be very entertaining and there were some really original ideas. Charlaine Harris, as editor put together a really nice grouping of stories. I enjoyed this anthology, and every one that Charlaine Harris has put together. Sure would. Even if they only read or know of one author in this book, it is a good was of finding more authors they may like. I will always be a Charlaine Harris fan, so it has to be Pam. Huh, I bet you thought I was going to say Sookie. Christopher did an excellent job on all the characters, and I cannot say that anyone stood out from the others. Having read several of the authors listed in this collection, I knew I would likely have a decent listen. I wasn't expecting the fully fun experience I had, though. This collection of shorts was so enjoyable to go through, I found myself wanting longer stories from these authors, and yet couldn't wait for each to be over and start a new one. I was happy to hear little blurbs about each of the authors, as several were new to me. The genre was familiar and exactly what I expected from the authors I knew of already. Have fun! 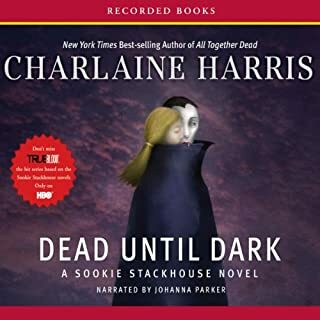 I'll admit it up front, I came to Charlaine Harris' work through HBO's True Blood series - then I listened to all the Sookie Stories available on Audible... I really like the series, I had a lot of fun with the stories... it didn't matter to me about the different twists on the same ideas... so I thought, "why not?". It was obvious to me this is a series of short stories EDITED by Ms. Harris and Toni Kelner. These are centered around the general topic of "Vacation", and that works well for a summer's read or listen. This is a fun set of stories! Nothing too engrossing, but a great listen while going to, coming back, or just lounging around at the shore! It's just a fun romp with some super-naturals!